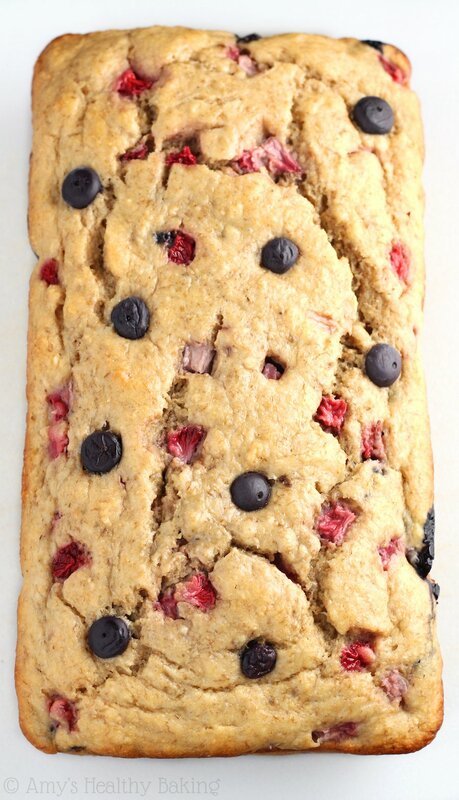 Tender banana bread full of fresh summer berries. 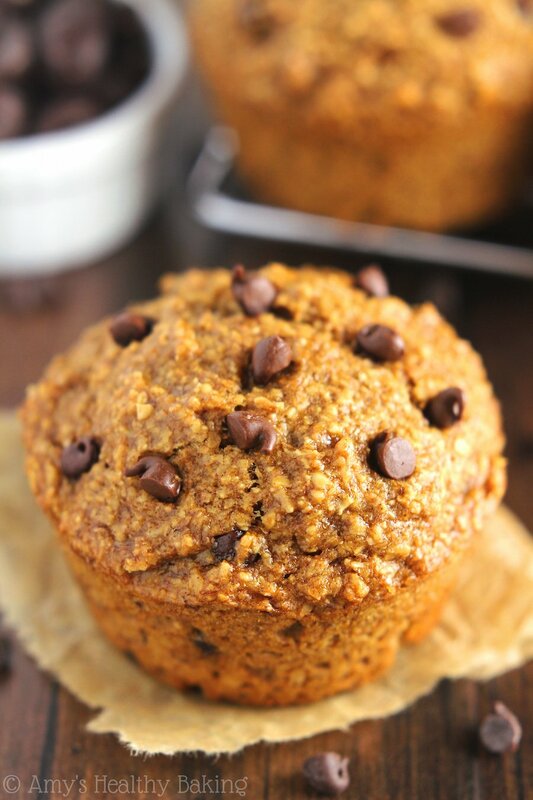 Naturally sweetened and extremely tender, it’s the perfect healthy breakfast or snack! Throughout my childhood, my family celebrated the 4th of July like most people in our town: with backyard BBQs, big scoops of ice cream, and watching fireworks exploding in the night sky from neighborhood parks. But a few years, my mom scheduled a business trip to Phoenix the week before, so we spent those patriotic holidays with my grandparents in southern Arizona instead. With sweltering temperatures close to 110°, we changed a few of our 4th of July traditions. We skipped the BBQ, opting instead for cold deli sandwiches with plenty of juicy watermelon, plus lots of time spent indoors during the afternoon playing board games or piecing together puzzles while enjoying the modern miracle of air conditioning. We drove across town to Dairy Queen! Way back then, DQ hadn’t made its way up to where my family lived, so we could only indulge on those summertime trips to my grandparents’. Even simply walking into the store was a real treat! Although the blizzards and chocolate-dipped cones always sounded tempting, Mom usually picked up dilly bars for all of us, with the reasoning that they’d probably melt slower and therefore make it back to the house before turning into a big, sticky mess. Then we’d rush into the backyard, rearrange the patio furniture, and face the direction of the local high school where the city set off a long show of dazzling fireworks. But this year, I realized that we’ve never had any tradition involving breakfast. Sure, we’ve had our fair share of apple pie and homemade ice cream and red-white-and-blue desserts, but… Never anything healthy to start the day. 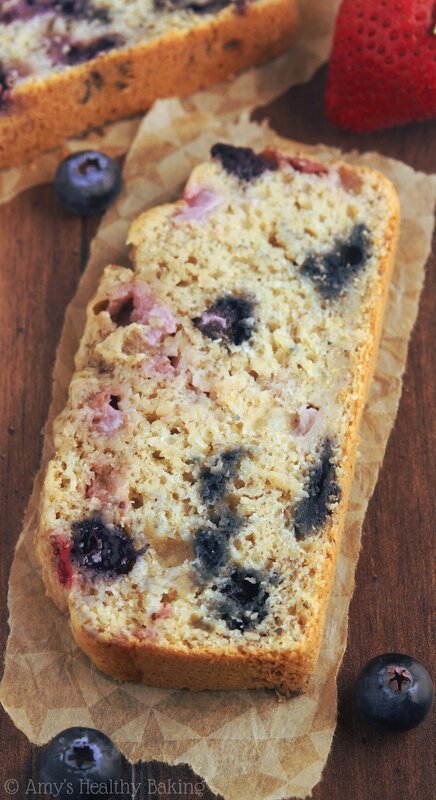 But now I’m changing that with this Whole Wheat Strawberry Blueberry Banana Bread! 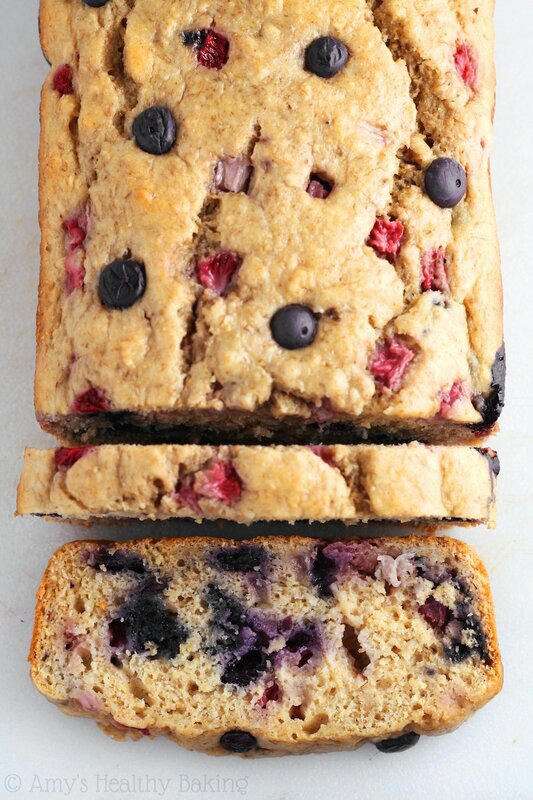 This gorgeous loaf is made healthier and clean eating friendly with a few simple swaps. It uses 100% whole wheat flour (or gluten-free, if you prefer! ), and it’s naturally sweetened with mashed banana and a hint of honey. But only a tiny bit—we want this banana bread to taste like breakfast food, not a sugary sweet dessert! Unlike traditional recipes that require lots of oil, this loaf merely uses 1 tablespoon. Yes, that’s it! The rest of the tender texture comes from the mashed banana and Greek yogurt. Greek yogurt adds the same moisture as extra oil for a fraction of the calories, and it gives the banana bread a little protein boost too. I opted for fresh berries since they’re currently in season and relatively cheap, but it was nearly impossible to keep myself from eating both baskets while washing and slicing them… Summer berries are so juicy and sweet! However, frozen would work too, although you may need to bake the loaf slightly longer. 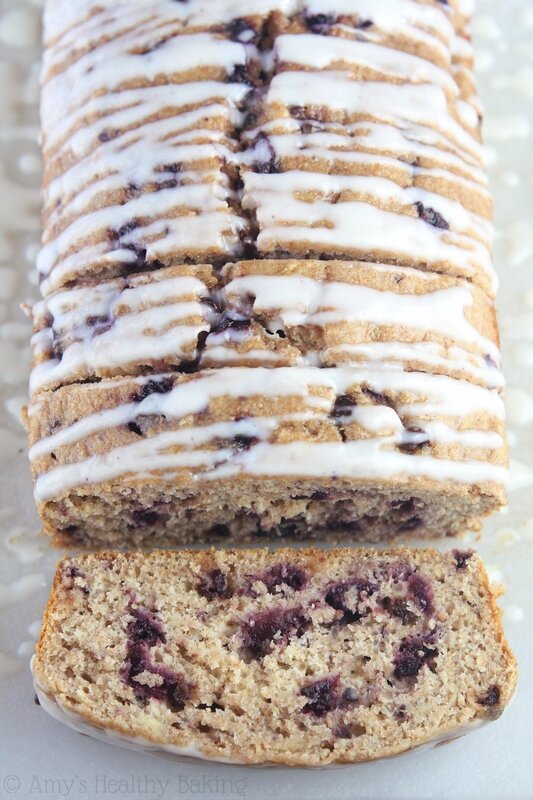 Just remember—frozen blueberries bleed, unlike fresh, and will turn the bread gray in color. Then bake, slice, and enjoy your healthy start to the 4th of July! 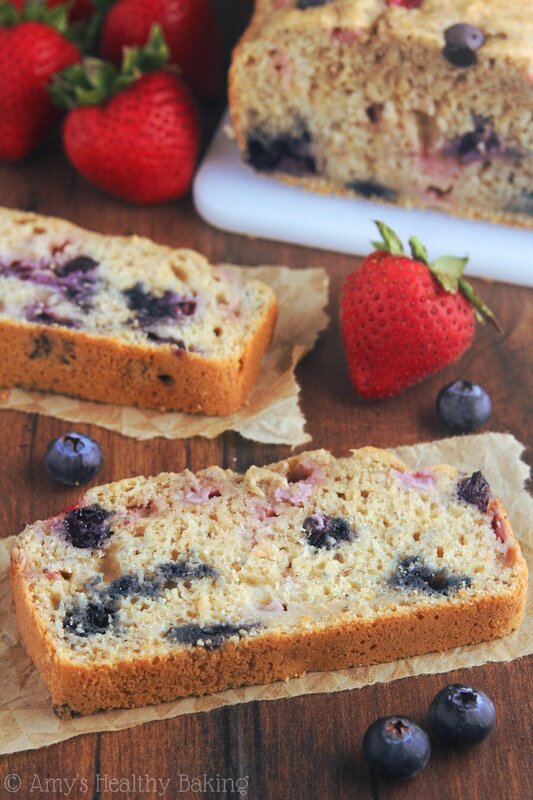 This banana bread is extremely tender and packed with juicy summer berries. 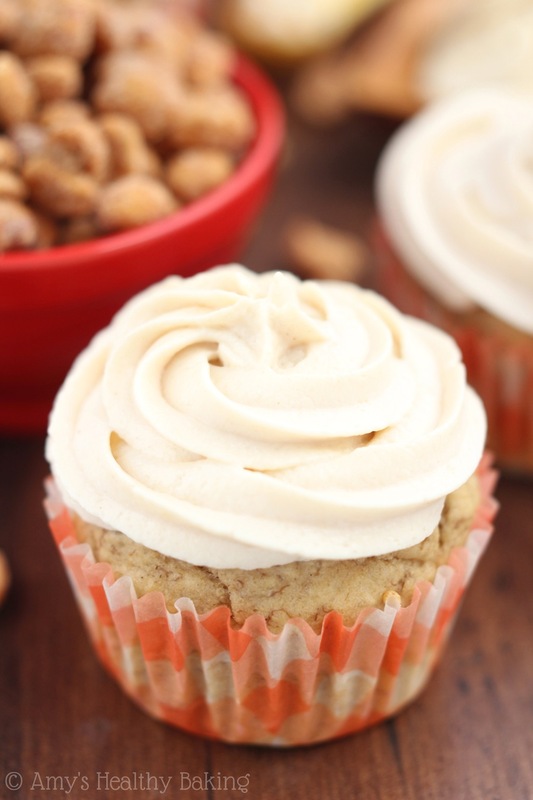 It’s perfect for snacking or enjoying for breakfast! Tightly wrap any leftovers in plastic wrap and refrigerate. It will keep for at least 5 days if stored like that in the refrigerator. Preheat the oven to 350°F, and lightly coat a 9”x5” loaf pan with nonstick cooking spray. In a small bowl, whisk together the flour, baking powder, baking soda, and salt. In a separate bowl, whisk together the butter or coconut oil, egg whites, and vanilla. Stir in the mashed banana, Greek yogurt, and honey, mixing until no large lumps of yogurt remain. Alternate between adding the flour mixture and the milk, stirring just until incorporated, beginning and ending with the flour mixture. (For best results, add the flour mixture in 3 equal parts.) Gently fold in the strawberries and blueberries. Spread the batter into the prepared pan. Bake at 350°F for 40-50 minutes, or until a toothpick inserted into the center comes out clean. Cool in the pan for 10 minutes before transferring to a wire rack. Notes: For the gluten-free flour, I recommend as follows: 1 cup (120g) millet flour, ½ cup (60g) tapioca flour, ½ cup (60g) brown rice flour, and 1½ teaspoons xanthan gum. Any milk will work in place of the nonfat milk. To make the banana bread easier to remove from the pan, line the pan with foil first before coating it with cooking spray! This bread is absolutely divine. My whole family enjoyed it and it didnt last one day before it was all gone. I am now waiting for more bananas to brown so that i can make it again. 10 stars from me ? You’re SO sweet Kim — 10 stars!! That means the world to me!! 🙂 I’m so glad everyone enjoyed this banana bread. Say hi to your adorable son from me! I absolutely looooove this banana bread, I make it almost every week! ? But I wondered if you can freeze it? What if I want to use coconut flour? What quantity should I use?